We’ve all heard the cliche that timing is everything. Well, it’s true! There is an “order behind the order,” and everything is happening in repeating & predictable cycles according to divine timing. (Millions of people know this intuitively which is why Sun sign columns are always popular. Our daily, weekly, or monthly forecasts give us a tiny glimpse of this secret order and structure). Your birth was precisely on time, and at the right time in history, in the right culture, everything, to further your soul’s course. You were born at the Divinely appointed time. There is an order, a star map, for your life. For the soul, everything is always all right because we all have the same ultimate destination – to awaken to our divine nature and return to the One who created us. But, in the meantime, we are here on earth working out our salvation with fear and trembling! It is confusing and discouraging at times. Especially when it comes to our two main concerns in life; love relationships and our creative work in the world. Sometimes it seems we’re always in the dark and can’t see more than one foot in front of us at a time, desperately wishing we had a map and a bright lantern. We do! The moment and place of birth create our star map, also known as the birth chart or the horoscope. Astrology, the Science of Light – interprets that map for you. Astrology sheds light on our path in a way that we literally can’t find anywhere else on earth. With the birth chart, we can see where we’ve been, where we are now, where we are going, the nature of our journey and with whom we will be traveling. Astrology is the study of TIME and specifically our journey through time, including past and future lives. The birth chart shows about 75% of what will happen, or what is “fated.” But there is 25% that is between the Divine and us, it is our free will, for lack of a better term. It’s more complicated than that, of course, but it’s part of us that co-creates with the Divine, and with the Divine, anything is possible. 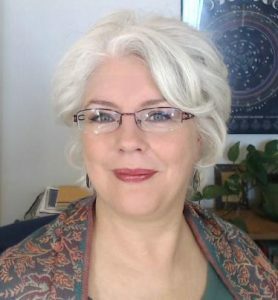 My heartfelt desire is to show you how astrology can help you now. I’m excited about astrology because of how useful, healing, and enlightening it is. It is a healing art and science that is meant to relieve the suffering of humankind. I believe that astrology is a gift given to us by the Divine. Astrology is a study of the mind of the Divine and is meant to uplift, educate and bring us closer to the light. The Divine has not left us alone, but speaks to us all the time in many ways; and while NOT meant to replace prayer or meditation, astrology is one of the clearest, personal, and detailed ways that the Divine talks to us. Can you be helped with your particular question or issue? Click here to find out.